Career in Architecture/Engineering/Construction Management for 40 years (8 as firm President). Served in the US Army Military Intelligence for 3+ years. Currently a 6-year member of the Knights of Columbus, Council 8600 and a Sir Knight with the Fr. Malloy Assembly. Member of the Marian Homes Board of Directors since 2009. Participates with several organizations to include the Community Foundation of Northern Virginia Kelly Elizabeth Baker Memorial Fund; the Ancient Order of Hibernians, Fr. 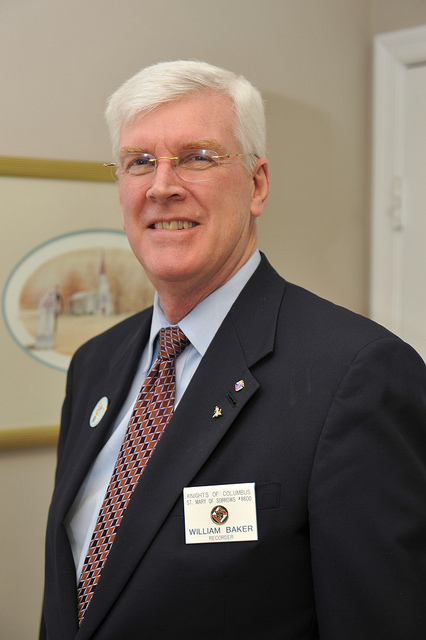 Wm Corby Division, President; Fairfax Station Homeowners Association, President, Board of Directors; former Board member with the Northern Virginia Family Services and Fairfax County Chamber of Commerce; and various committees within the St. Mary of Sorrows Parish. Early as a Boy Scout, involved in helping the intellectually challenged and now has come full circle in helping those again. My responsibilities with Marian Homes includes the oversight of our properties to maintain them in tip-top condition. For example, the modification of the second house to ADA requirements including converting the garage to a 5th bedroom and bathroom designed and built to ADA standards and the installation of an emergency generator at our first house. We work in harmony with the Chimes staff to assure the residents receive the best environment and service possible while maintaining a seamless operation in the process.